Billy enters a bare 6’ x 8’ jail cell where an inmate lays unconscious. As the psychiatric emergency response deputy and head of the segregation unit, he is here to check on the prisoner’s health status and state of mind. Suddenly, the inmate springs to life and charges at Billy with a homemade knife in his hand. The inmate lunges, pointing the shank directly at Billy’s chest…. Billy wakes from the nightmare in a cold sweat. It takes him a few moments to realize that he is at home, in his own bed. While he is safe from any physical peril, the ever-present mental and emotional danger is another story. 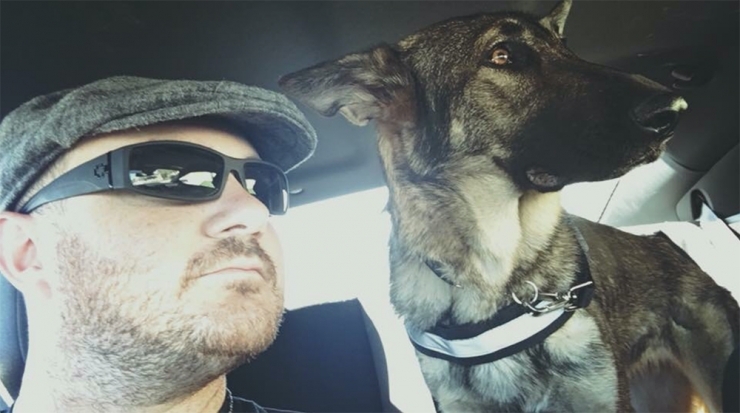 Billy served as a deputy sheriff for San Diego County from 2007 to 2015. Throughout his career, he held various positions on the front lines of the streets and in correctional facilities. In addition to his role as psychiatric emergency response team (PERT) deputy, he held concurrent positions as a terrorist liaison officer (TLO), fire deputy and as a member of the tactical response team (TRT). In law enforcement, there is a name for a type of event no officer wishes to be a part of – a critical incident. Critical incidents have a stressful impact sufficient enough to overwhelm the usually-effective coping skills of an individual. Critical incidents can result from a number of events such as dealing with gang violence, deaths, suicides, domestic violence, etc. Some officers are lucky enough to never experience a critical incident while on duty. Billy has had the unfortunate luck of being involved in several during his career. 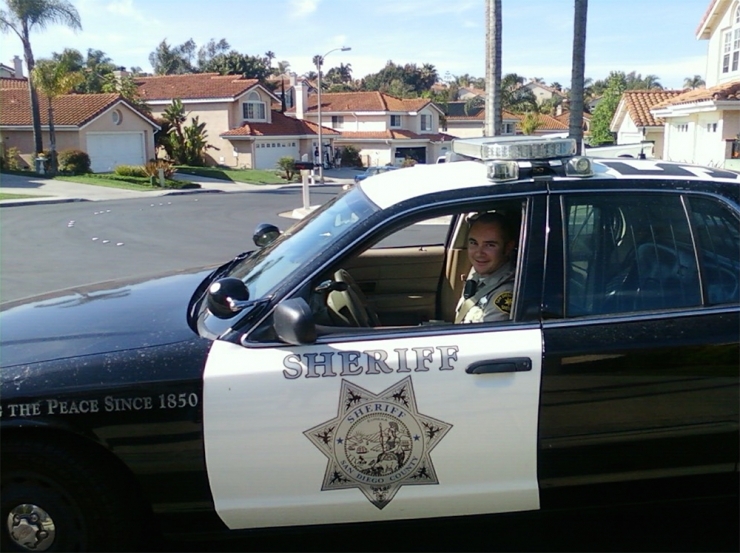 As the psych deputy patrolling the city of Vista, he dealt mostly with individuals suffering from psych related issues. On several occasions, Billy was attacked by assailants who were not of sound mind. These critical incidents took their toll on his relationships and career. In 2014, a psychologist determined that Billy had been involved in more critical incidents in a few short years than most deputies experience in their entire careers. Even before his retirement in 2015, Billy was suffering from panic attacks, nightmares, anxiety, and anger. In normal social situations, he was constantly scanning every setting and perceiving threats everywhere. He dreaded leaving home and isolated himself from the world. Billy was suffering from post-traumatic stress. When I asked him about what his everyday life was like, Billy told me that he was hyper-vigilant. "I had a huge problem being around a lot of people," Billy explained. "I would go into a defensive state. It was super exhausting to step outside my house. I couldn't even have a basic conversation with friends in public because I was constantly focusing on my surroundings." When Billy slept, nightmares were waking him every 30 minutes. The terrible sleep would feed the PTSD symptoms further. Multiple monthly appointments with psychologists and therapists were helping but the burden was still too great. 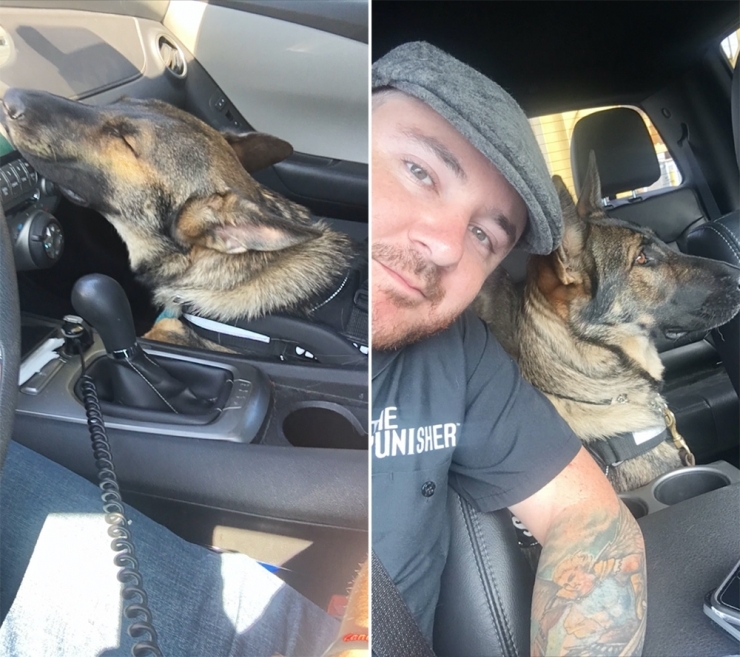 In May 2015, Billy met Khloee through K9 Guardians. An instant bond was formed. 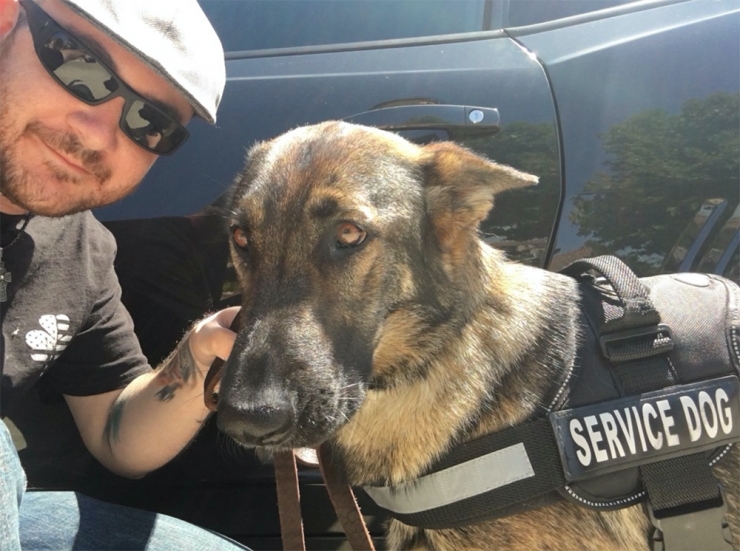 Khloee would become Billy's personal service dog and savior in many ways. However, the cost of raising, training and placing a service dog like Khloee is steep. Billy would need to raise $13,500. That's when Billy was referred to Chive Charities, an organization that is ever-willing to help our nation's first responders and emergency response individuals. We were glad to alleviate Billy's financial burden with a $13,500 grant from the Green Ribbon Fund to assure that Khloee would be there by Billy's side in his greatest times of need. In their time together, Khloee has helped alleviate many of Billy's most aggressive symptoms. In large crowds, Khloee will circle Billy to increase his personal space. She will sit next to him, facing backward to watch his back and make sure no one sneaks up behind her owner. Without the fear of constantly being startled, Billy can once more fully engage in conversations with family and friends. Prior to Khloee, Billy would regularly jump awake from nightmares in "fight mode," grabbing his firearm and clearing the house of perceived danger. Khloee now senses when Billy is having a nightmare and will hop into bed and lick his face to wake him gently. Khloee is the best gift and companion Billy could ever ask for. "Words can't describe my gratefulness to the people who have given me the ability to not just have Khloee, but to even have a life again," Billy told us. "Just being able to go out to something as simple as dinner with my friends and family, or go to the grocery store and do everyday tasks that seem simple has been life-changing." Billy may be dealing with the hidden emotional and mental scars from his career the rest of his life. The nightmares may even persist. However, he now has a companion by his side to walk every step of the way with him. The healing process can begin. Khloee now has Billy's back and so does Chive Charities. This story was brought to you by the generous monthly donors at Chive Charities. Learn how to become a member and help the underdogs like Billy RIGHT HERE.